This very substantial, comprehensive dictionary contains entries on all the battles fought at sea by British fleets and ships since Anglo-Saxon times. Major battles, such as Trafalgar or Jutland, minor actions, often convoy and frigate actions, troop landings, bombardments and single ship actions are all covered. Most accounts of British naval power focus on the big battles and the glorious victories - the picture which emerges from the rich detail in this dictionary, however, is of a busy, dispersed navy, almost constantly engaged in small scale activity - taking prizes in the eighteenth century, escorting convoys and being attacked by, and attacking, U-boats in the twentieth century, attacking minor as well as major enemy ports in all periods. Moreover, the action, which very often takes place not in proximity to Britain, but on a world stage, is not always successful and sometimes disastrous. The dictionary covers all periods comprehensively - medieval, early and late, and early modern as well as modern - and encompasses "Britain" in all its forms - England, Scotland, and British colonies including those in North America. It is an essential reference work for all enthusiasts of maritime history. "A well organised and detailed compilation, written with confidence and authority" - Professor Roger Knight, University of Greenwich. 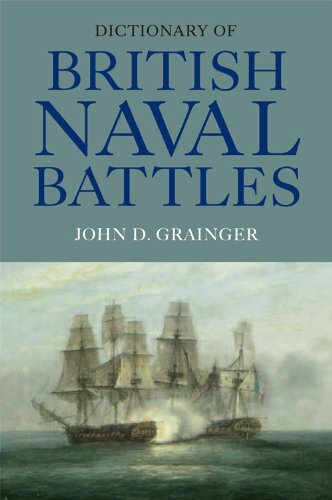 JOHN GRAINGER has published extensively on maritime history, including books for The Navy Records Society.